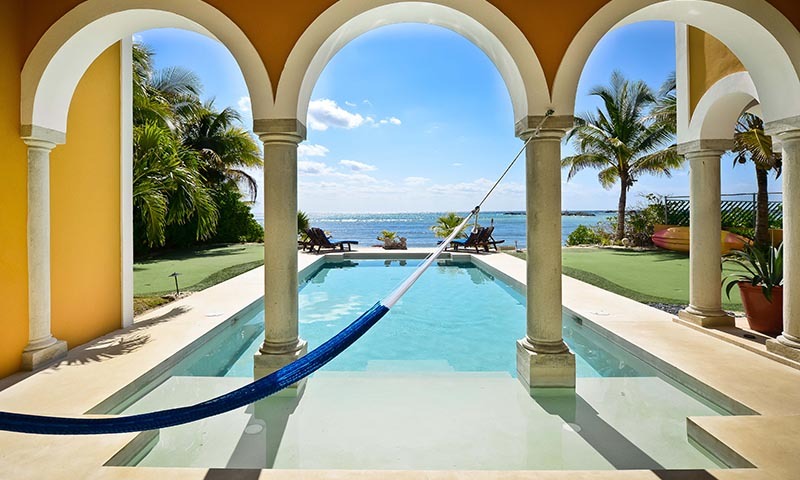 From January 18th 2017 onwards Hacienda Mágica (formerly Hacienda Kukulkan) will be under the same ownership and offer the same services as Hacienda Del Mar and Hacienda Corazon. The villa is the ultimate retreat for the truly discerning. 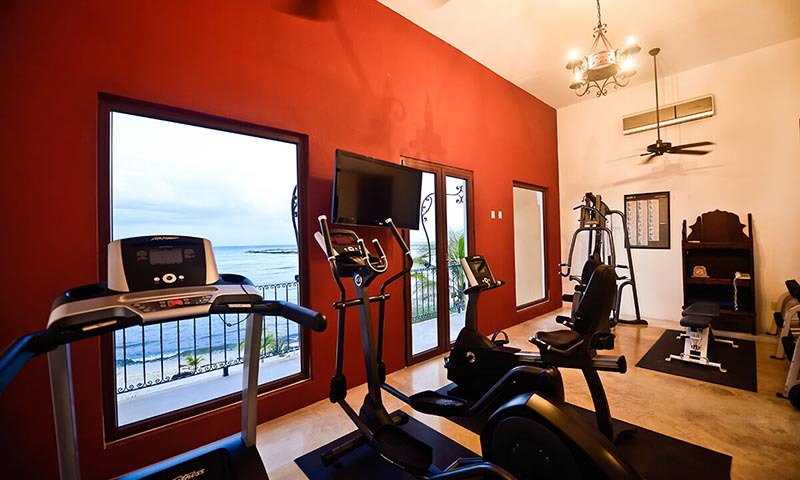 Hacienda Magica is the only beach front villa in the Riviera Maya with full size tennis court, state of the art ocean front gymnasium, ocean side putting greens and 10 magnificent suites plus den. 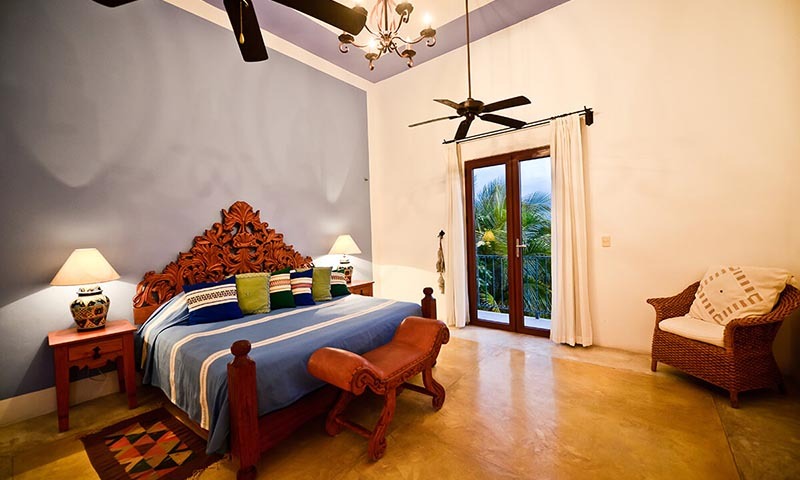 Hacienda Magica combines old style Hacienda with modern day luxury and service. 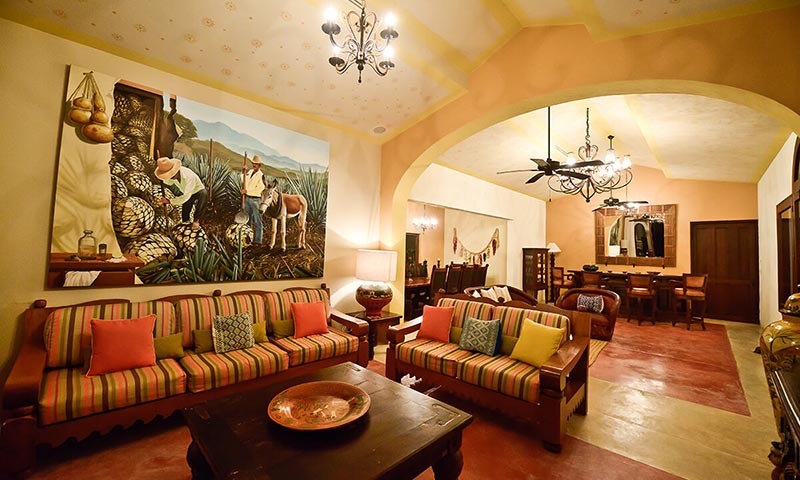 The Hacienda has been decorated and furnished in a luxuriant and vibrant Mexican style, with beautiful colors, fabrics, stunning chandeliers and unique details. 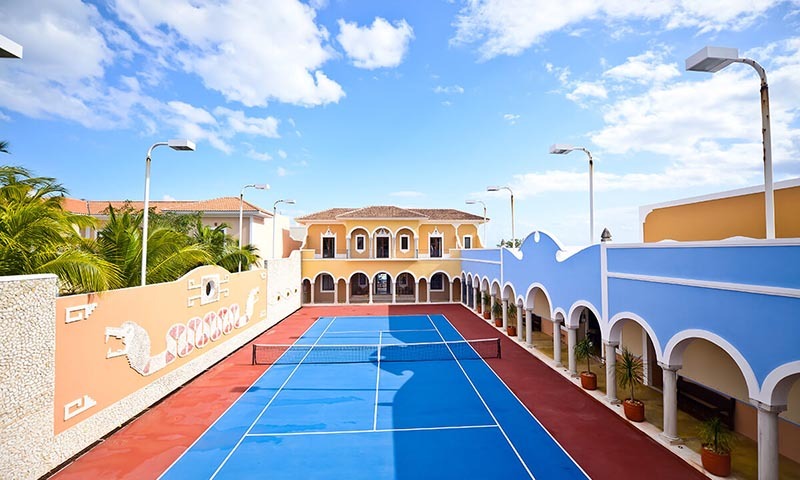 As you enter the walls of the residence you are greeted by a full size tennis court located within a courtyard with arches, fun and athletic times are guaranteed! On one side of the courtyard there is a beautiful lime stone mural depicting a feathered serpent, the Mayan god Magica. On the south side of the courtyard there is a king suite with private bath and kitchen. 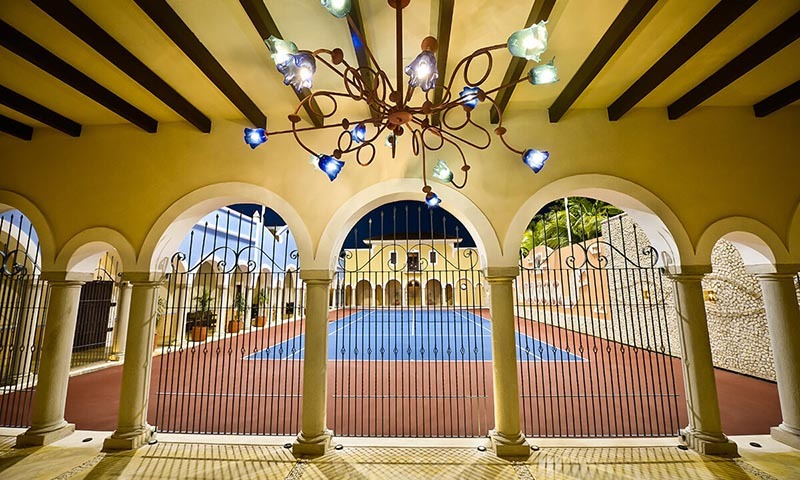 Walking under the arches by the side of the tennis court leads you to the main villa. 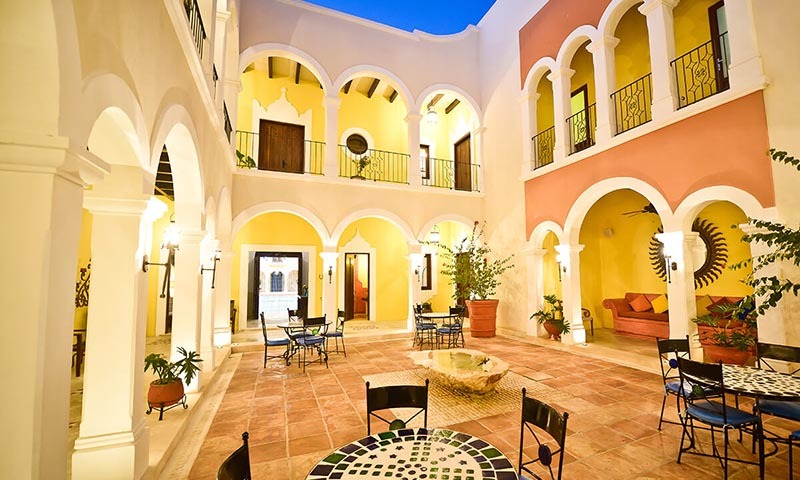 Stepping through the front door you enter a truly magical courtyard with fountain, stunning views of the ocean, and walk out to the putting greens, swimming pool and beach. At night the courtyard transforms to an interior garden where you can star gaze, enjoying the gentle ocean breeze. Off the courtyard on the north wing of the villa you have 2 sumptuous suites, one of which is beachside. Each suite has king bed and full bathroom. There is also an internet room with wireless internet access. 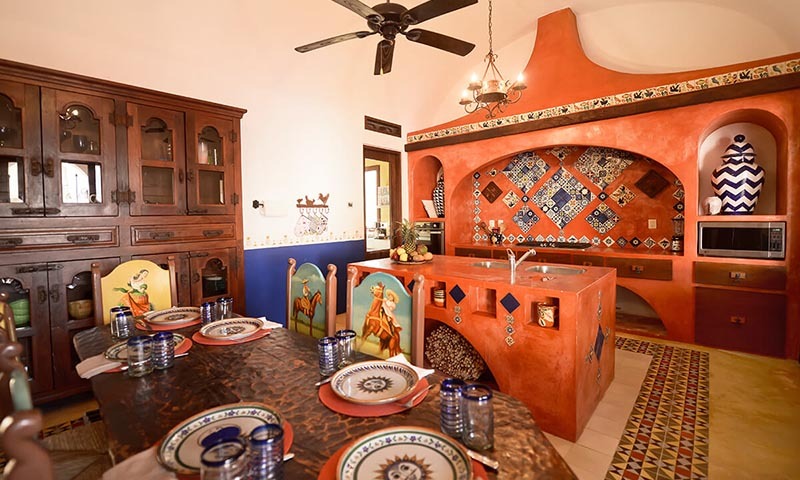 The fully equipped gourmet kitchen is beautifully styled with colorful tiles, beautifully carved furniture and unique hand painted chairs depicting Charros, the Mexican cowboys. Enjoy delicious delicacies cooked by the villas Mexican cook, or you may wish to sample international cuisine from one of our gourmet chefs, the choice is yours! 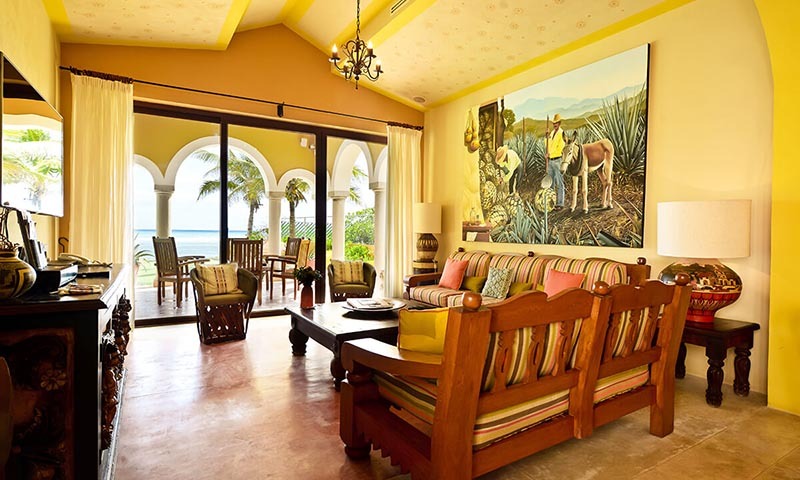 The comfortable ocean front living room with satellite TV has a beautiful painting of the agave plantation, the open plan leads to the dining and also bar area...perfect for mixing your favorite drink! There is also a karaoke machine for the aspiring rock stars! From the living area walk out to the terrace with outdoor dining and enjoy the glorious Caribbean! 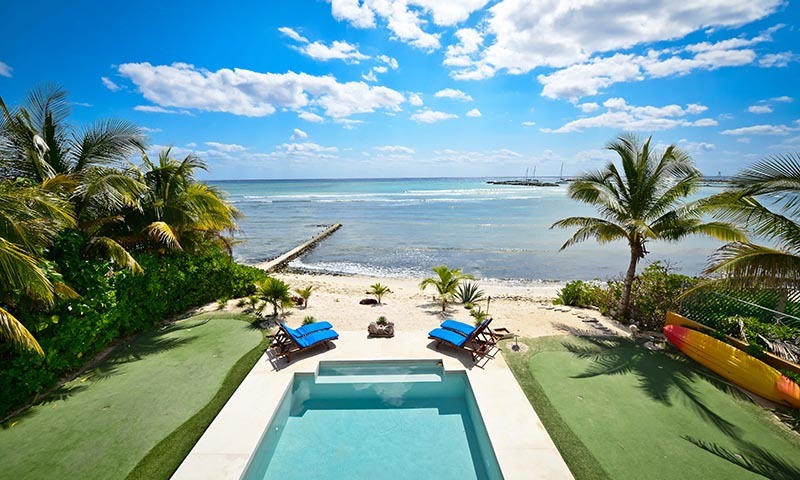 Beach front private swimming pool (39 feet) with numerous sun chaises and sun umbrellas. Air Conditioning (all bedrooms, Living room and Kitchen). Gourmet kitchen with all modern conveniences. Gourmet Chef (3 meals a day), Concierge and Butler Services. The San Carlos Marina with restaurants, bars, boutiques and more under 5 minutes walk from the villa. Additional Services: Massage, Tours, Yoga Classes, Transportation available upon request – additional cost. Presidents Week, Semana Santa, Easter Week, Thanksgiving week includes complimentary Mexican Cook Service for Breakfast and Lunch (the cost of groceries and 20% shopping fee is additional). 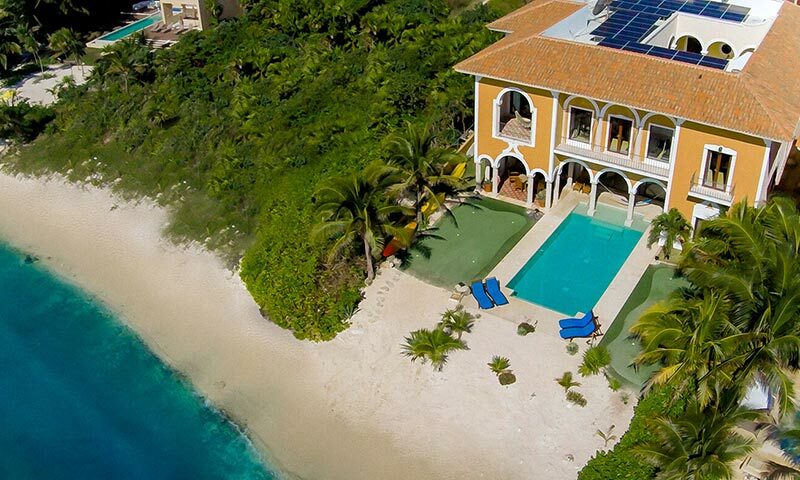 Entire Estate. THIS IS A NON SMOKING PROPERTY. NO SMOKING PERMITTED IN VILLA OR INTERIOR COURTYARD. Rates are based on 2 guests per bedroom. 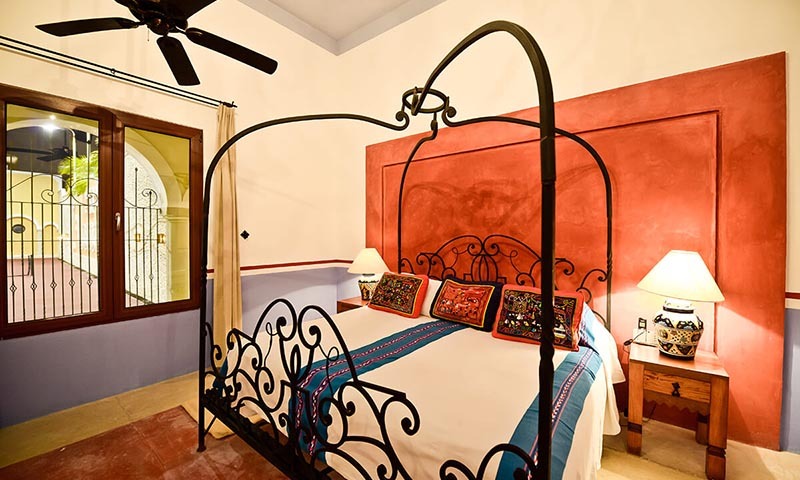 Above 2 guests per bedroom please add $71 USD per night per guest plus 19% tax (over the holidays please add $143 per night per guest plus 19% tax). Reservations are Saturday to Saturday, 7 night stays - fewer/different arrival days may be possible but please confirm. There is a minimum 7 bedroom stay requirement in High and Mid Season (excluding holiday weeks where the entire estate is rented)- fewer rooms may be possible but please confirm. 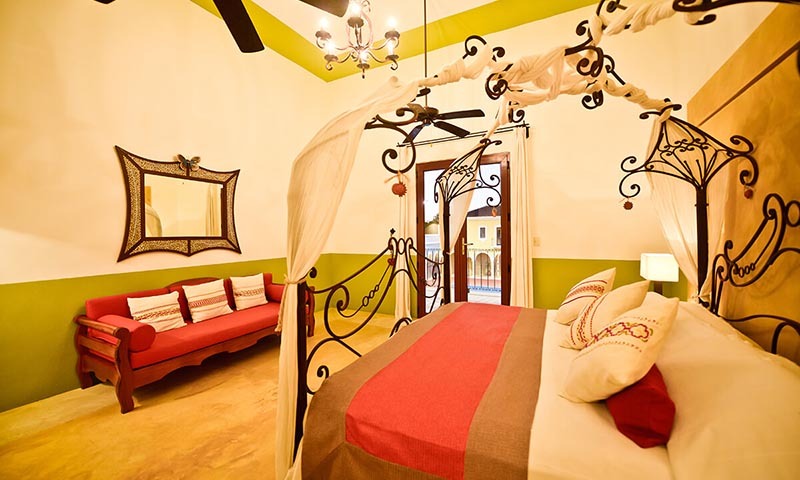 Only registered guests staying at Hacienda Magica are permitted on the property.